In a typical day, Gwen Thomas goes from working with our nation’s youth and their parents to meeting with educators, politicians, businesses, and clergy to discuss the America's agenda. Thomas discusses strategies both economically and socially, with an overall goal of improving the extrinsic value of what students get in exchange for a high school and college education. Thomas provides a fresh perspective on how to reduce college debt, and how students can transition from high school to vocational programs or college campuses. Thomas poses the challenge of how corporations in the community can help students meet the needs of tomorrow's workforce. Thomas is the President of a non-profit think tank called Fresh Perspectives and President of a marketing productions company, Gwen Thomas PR, Inc.
1)Teach women the fundamentals of entrepreneurship. 2) Aid women on the perils of domestic violence. 3) Educate students and families on the importance of college readiness and reducing the college debt cycle. 4) Educate communities on the need to close the gap on educational disparities. Thomas facilitates seminars and workshops that benefit students and families across the country. Recently, she has also taught these concepts in Asian, Canada and the island of Trinidad. Fresh Perspectives has clients and partners that include Comerica, Coca-Cola, University of Michigan, Oakland University, Eastern Michigan, Michigan State University, Gear-Up, Morehouse College, New York Life, Black United Fund to name a few and a host of church and civic organizations across the country. Recently, Thomas has spoken in Asia and Trinidad. Higher Education initiatives have dominated as Fresh Perspectives core business. Consequently, Thomas has assisted students in obtaining more than $4 million in scholarships and secure study abroad opportunities. Gwen Thomas received her undergraduate degree in Political Science and Communications from Oakland University attended Cooley Law School and received her MBA in Business and Marketing from the University of Phoenix. She has served in several advisory and leadership positions that advocate for civil rights, women rights, and education including My Sister’s Place, The Southern Oakland County NAACP, Curtains and Comfort, ACLU boards and involved in numerous women’s and civil rights initiatives. Ms. Thomas has been featured in various publications, radio and television news features. Ms. Thomas is the recipient of the 2017 Career Masters Award, 2013 Diversity Champion Award from the Task Force on Diversity and Race Relations in Birmingham, MI and recipient of the Michigan State Conference 2012 NAACP Presidents Award. 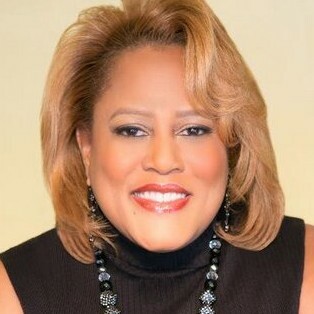 Ms. Thomas is a sought-after speaker and moderator for local and national organizations. Thomas is the author of “The Parents Smart Guide to Sending Your Kids to College Without Going Broke.” She is a mom to one son, Cameron, a Diplomat in the US Foreign Service. Ms. Thomas enjoys cooking and traveling. Find out more about GWEN THOMAS at http://WWW.freshperspectivesseminars.org.